Technology makes all sorts of tasks convenient and easy to accomplish these days. It allows people to order groceries and various goods from a smartphone, tablet, or computer while getting them delivered right to their door. Some folks go online to keep tabs on friends or family members via social media platforms. Others join groups to play their favorite video game titles with gamers from around the world. Students are even taking online college courses today to obtain their degrees. Another thing that might sound odd or strange to other generations is that people are utilizing the Internet to get their driver training now. Well, the individuals are at least taking care of the classwork portion via the world wide web. This innovative solution is typically cheaper, quicker, and more flexible than the traditional classroom option. However, students must still practice driving in-person as there is no way around or a suitable alternative for the feat. Interested parties should read further to learn about a few of the best online drivers ed in Nevada schools. Are The Best Online Drivers Ed In Nevada Courses Difficult? People are not just handed things in this world, so they must pay attention and complete a little bit of tedious work to be successful in these online drivers ed in Nevada classes. The tasks may seem somewhat dull, bland, and dry, but there is nothing necessarily hard or complicated about them. The main difference between web-based programs and conventional ones is the way in which the information gets distributed to the students. Instead of listening to a teacher lecturing, pupils will watch videos, complete driving simulations, and read texts, so, to answer the question, no, the courses are not laborious and back-breaking. As a former driving instructor, you might think I’m against online drivers ed courses, but the opposite is actually true. Sitting in a classroom being lectured at is one of the worst ways to learn the rules of the road. Taking an online drivers ed course in Nevada will give you the course material in an interactive way, which vastly increases student retention rates. While everyone learns differently, I believe taking an online drivers ed course is a much better way to get the classroom portion completed. That way, driving instructors can focus on what they actually like to teach, the actual driving part! There are plenty of institutions online that promise to be the best online drivers ed course. Unfortunately, not all of them follow through. A lot of online drivers ed courses in Nevada have become horribly outdated with page after page of plain text. This is not the type, of course, you want to sign up for. This list of the best online drivers ed courses in Nevada for 2019 is designed to guide you through the selection process. Regardless of where you choose to do your course, make sure that it is accepted in Nevada specifically. Below these top recommended courses, I will also provide a list of all online drivers ed courses you can take in Nevada. The stellar smartphone app and the superb browser-based interactive tool are two things that really set Aceable apart from the rest. Students can work at their own pace and take breaks as needed. Progress is saved and synced between devices, so they do not have to worry about losing their place when switching equipment or resting. Another reason Aceable is so great is that it is fully Nevada DMV approved in the entire state. This aspect ensures students that there won’t be any unforeseen issues when they try to get their permit. The classes are affordable, 100% online, and they even come with a free six months of Allstate Roadside Assistance. This is just one of the “extras” that Aceable provides. The materials include a mixture of videos, interactive content, quizzes, and more. They are sure to keep the student’s attention while assisting them in sticking to the task at hand. 2019 Update: Aceable has remained the best option for online drivers ed in Nevada for 2019. It was the best course in 2018 and it will remain my top recommendation due to even more advancements with this course. Ever since Aceable first launched, they were the most advanced online drivers ed course available, but it is even better than ever now. They added some more 3D and interactive videos, created more animations, better games, and expanded their U.S. based customer support team. Everything being considered, from course quality to price, Aceable is still the best option for online drivers ed in Nevada. DriversEd.com also offers the best online drivers ed in Nevada. This is one of the oldest and most well established online drivers ed courses in the country. What puts DriversEd.com in a category of its own is the interactive content. For example, there are animations where driving hazards are presented and students need to make the best decision on how to avoid the hazard. There are also games to help students memorize the more boring material. Along with the online courses, students can also get driving lessons with a licensed driving instructor in their area. The classes are mainly geared towards teens, but there are some available to adults as well. DriversEd.com is Nevada DMV approved too, so residents don’t have to worry about hassles later on down the line. If you sign up for both their online drivers ed as well as their behind the wheel training, you may be able to get a substantial discount. DriversEd.com is a reasonably priced option that over 11 million students have chosen to use. Free practice tests help prepare you for the real exam when the time comes. Pupils can do the work on computers, smartphones, or tablets. The interactive courses contain graphics and easy to understand material that is easily retained. Should questions or concerns arise, the customer service team is available 7-days a week to resolve the issues. Needs and wants vary between consumers, but DriversEd.com is worthy of considering as your traffic school. 2019 Update: DriversEd.com had a great year in 2018 which enabled them to create more course improvements. The most notable changes include updated videos, animations, and a refresh of their “identity verification system” which was prone to causing issues in previous years. 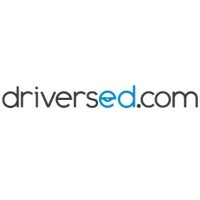 They have some plans to upgrade their behind-the-wheel vehicle fleet, so if you want to take actual driving instruction in addition to your online course, DriversEd.com would be a great choice in 2019. Another name that should be talked about when discussing the best online drivers ed in Nevada is Driver Ed To Go. The institution guarantees that students will pass the final exam. They can study at any time from a computer or mobile device. Like the other schools on this list, Driver Ed To Go is Nevada DMV approved as well. The school has plenty of experience under its belt as it has served over 4 million customers. More features give the organization a leg up on their competitors too. For instance, high schoolers may even be able to earn up to 2.5 credits that count toward their high school graduation. Same-day processing, audio-read along, and email notifications are a few of the other available upgrades. The courses are inexpensive, but the extras will have additional price tags that can make the cost go up. 2019 Update: Of all the Nevada online driving classes I recommend, Driver Ed To Go made the most improvements out of any course listed here. Where they really stepped it up are with their all new interactive videos. In 2018, Driver Ed To Go replaced their old and outdated videos with brand new videos featuring interactive elements. They also created some new interactive games to help students learn the information better. Driver Ed To Go is easily one of the best picks for Nevada online drivers ed in 2019. All of these organizations are deserving of the title the best online drivers ed in Nevada. They will teach new drivers the fundamentals and techniques they need to stay safe on the open road. Additionally, the schools will give them knowledge about laws and regulations that pertain to them. So, take the time to find the best online drivers ed in Nevada for you. While I highly recommend you stick with one of the above online drivers ed courses, you have several additional options. Here is a list of every online drivers ed course you’re allowed to take in Nevada for 2019. This list was taken directly from the Arizona DMV. If you decide not to take your drivers ed course online in Nevada, here are some classroom-based driving schools you can take.